What a great meeting by great organizers for great people. 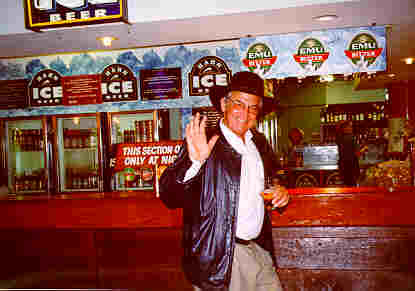 The ISBS of 1999 in Perth Australia presented the highest scientific quality presented by leaders from all over the World. Thanks to Dr. Ross Sanders and Dr. Barry Gibson for having such a great organization and great time in superb city of Perth. This ISBS web page was created by Gideon Ariel (Gideon Crocodile Dundee...), main sponsor of the ISBS-99 meeting. I will try to present the various events we experienced in Perth in the following gallery. In addition, I published step by step instructions, how to download the APAS system from the net and install it on any Pentium based PC, Windows-98 or Windows NT, and how to install the system from the CD which you obtained at the conference. Again, thank you Ross Sanders and Barry Gibson for providing a great time to all. 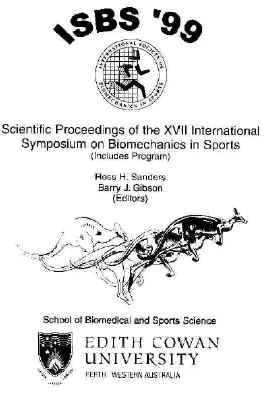 The International Society of Biomechanics is Sports (ISBS) is pleased to present the Scientific Proceedings of the XVII International Symposium on Biomechanics in Sports, held at Underwater World, Sorrento Quay, Perth, Western Australia from June 30 to July 6, 1999. The editors wish to thank the authors for their efforts to comply with the standards required for publication in the Scientific Proceedings of the ISBS. We also thank the members of the Scientific Committee for their competent and thorough reviews. The International Society of Biomechanics; in Sports is confident that this and future publications will contribute to the major goal of the Society, that is, to 'bridge the gap between sports biomechanics researchers and practitioners in teaching, coaching, training and rehabilitation'. In addition to the scientific program and its proceedings, that goal is also being achieved through 'special activities' and workshops. These include the ongoing work of the ISBS Working Party for Research currently led by Professor Larry Noble. In conjunction with this Symposium a 'workshop on data smoothing' has been conducted by Professor Graeme Wood as a collaborative venture of the International Society of Biomechanics; in Sports and the International Society of Biomechanics. Congratulations to Professor Renato Rodano and Professor Gunter Rau for facilitating this healthy affiliation between the ISBS and ISB. Also, in an attempt to serve coaches and sports people, an'applied program' comprising 26 lectures on topics related to tennis, swimming, fundamental skills, and acrobatics/gymnastics was organised. Notes and proceedings of the foregoing are available through the ISBS.